The 'New Kingdom of Granada' (as opposed to the old kingdom of Granada in Spain) was created to encompass the territories covering modern northern and central Colombia, almost all of Ecuador, Costa Rica and Panama, northern Venezuela, and north-western Guyana. These were conquered from native peoples which included the Inca, Muisca, Quimbaya, and Tairona between 1509 and 1520 and collectively termed Nueva Reino de Granada, or simply Nueva Granada. 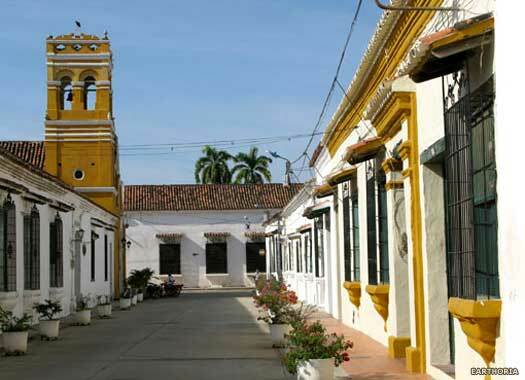 On 29 July 1525, Santa Marta was founded, on 1 June 1533 Cartagena de Indias, and on 6 August 1538 Fe de Bogota. The latter became the capital of the new administration which was confirmed in 1543. Initially it was administered from Peru, until it became part of the viceroyalty of New Granada in 1717. The province of Guatemala is defined by the establishment of a Royal Audiencia, superseding the authority of Panama over the southern Central American region, which includes the provinces of Chiapas, Costa Rica (gained from New Granada), El Salvador, Guatemala, Honduras, and Nicaragua. Further south, Colombia, Ecuador, Panama, and Venezuela, all part of the New Kingdom of Granada, fall permanently under the administration of Peru. On 17 July 1549 the Royal Audiencia of Santa Fe de Bogota is founded as an extension of the viceroyalty of Peru. From 1550 the kingdom of Granada is governed by Audiencia until a new governor and president of the Audiencia can be appointed. First governor-president of the Royal Audiencia of Granada. Granada is governed by the Royal Audiencia until a new governor can be selected. Spanish governor of New Granada (and of Cuba 1647-1653). The English privateer Henry Morgan takes the Peruvian port of Chagres, before capturing and sacking Panama City. The city is subsequently destroyed by fire. Several complaints are made to the Spanish crown against Villalba's administration and he is replaced by Melchor Linan y Cisneros, and later charged with robbing the dead. Interim governor of New Granada (and viceroy of Peru 1678-1681). Archbishop of Santa Fe de Bogota, and acting governor. Second term of office as acting governor. Archbishop of Santa Fe de Bogota, second term of office. The Spanish viceroyalty of New Granada was created out of some of the northern territories of Peru on 27 May 1717, namely Bogota, Cartagena de Indias, Guyana, Merida-La Grita, Panama, Popayan, Quito (modern Ecuador), Santa Marta, and Venezuela. It also extended briefly into Bolivia, Brazil, and Peru. The new administration became effective in 1718 but its initial existence was short-lived. Following sixteen years of reincorporation into Peru it was permanently re-established in 1740. The viceroyalty is terminated and New Granada is reincorporated back into Peru until 1740. The civil commissioners of the Audiencia, Jose Martinez Malo, Jose Quintana Acebedo, Jorge Lozano y Peralta, and Jose Castilla, govern Granada. The viceroyalty is permanently re-established. Spanish viceroy of New Granada (and of Peru 1776-1780). Spanish viceroy of New Granada (and of Cuba 1785-1789). President of the supreme governing junta (from 1810). 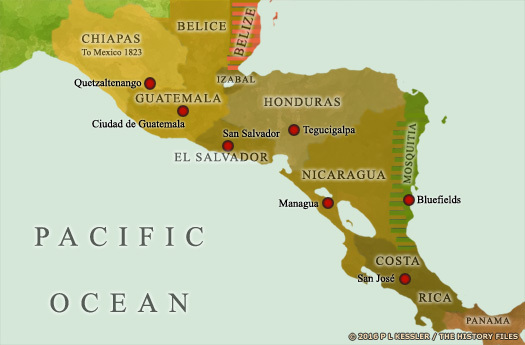 Various wars of independence break out across the Spanish Americas, including New Spain and Guatemala. Peru serves as a centre for the royalist opposition to these revolts. The viceroy, Abascal, reincorporates the provinces of Chile, Cordoba, La Paz and Potosi (both in modern Bolivia), and Quito (part of New Granada). Spanish governors remain in nominal command of Granada, but in opposition to the United Provinces, and 'governing' from Panama. The independence of New Granada was declared on 20 July 1810, and after two false starts a congress of the United Provinces was convened in late 1811. On 4 October 1812 the United Provinces of New Granada (Nueva Granada) were made official as a federation which was governed by a parliamentary system with a capital at Tunja. It consisted of Bogota (at the centre of modern Colombia), Cartagena de Indias (Colombia), Guyana (to the east of Venezuela), Merida-La Grita (eastern Venezuela), Panama, Popayan, Quito (modern Ecuador), Santa Marta, and Venezuela itself. Quito remained a Royalist stronghold throughout the wars of 1810-1821, which was natural enough as it bordered Peru, which remained the base of Royalist operations until the end of Spanish suzerainty in the Americas. Former viceroy of New Granada. A three-member executive power is appointed to govern, with the presiding member heading the administration. First presiding member of the executive power (acting). First full presiding member of the executive power. The United Provinces are re-conquered by Spain on 18 December 1815. Much of Granada is reincorporated back into Spanish colonial possessions, with the viceroyalty being re-established to govern it. When the United Provinces were formed in 1810, the Spanish viceroy became the first president of the supreme governing body. The Spanish governorship retreated to Panama where Benito Perez Brito was appointed in opposition to the parliamentary federation that was based in Tunja, although he wasn't officially sworn in until March 1812. The title of viceroy was revived by Spain in 1816, and on 18 December 1815, Granada was regained by Spain and the viceroyalty was re-established. However, it never managed to assert its authority over the entire territory and instead spent its short existence fighting a war against rebels who were determined to throw off Spanish rule forever. Held governorship from Portobelo, Panama. Died 1813. Governor and captain-general until 1816, then viceroy. Titular viceroy only. Died 1822. On 8 September 1820, the Liberation Expedition of Peru is organised in Chile and lands on the beach near the city of Pisco in Peru. Lima is occupied on 21 July 1821 and the independence of Peru (and therefore Spanish America) from Spain is proclaimed on 28 July. The republic of Gran Colombia is formed just four months later. The republic of Gran Colombia was formed by nationalist hero Simon Bolivar on 28 November 1821 after the fall of the Spanish administration of the colonies. Immediately the new administration of Panama, under Colonel Jose del Fabrega, opted to join the republic, while the Mexican empire was soon formed on Panama's northern border. Bolivar became the new state's president between 1821-1830. 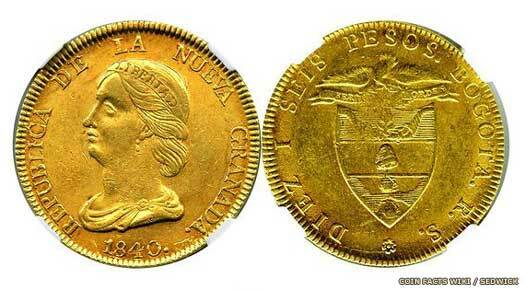 He also became president of Peru between 1824-1826, and Bolivia in 1825-1826. Trying to prevent the break-up of Gran Colombia, he proclaimed himself dictator on 27 August 1828, but he resigned on 27 April 1830 after an assassination attempt dented his confidence. The name 'Gran Colombia' (Great Columbia) is one coined after the fact by historians to describe the state that encompassed modern Colombia, Ecuador, Panama and Venezuela, rather than the territory of a subsequent Republic of New Grenada, which held only modern day Colombia and Panama (1831-1858). Also president of Peru & Bolivia. Internal stresses and strains prove too much for Gran Colombia, so Ecuador, Venezuela and other territories leave, although Panama remains. Second term of office as acting president-liberator. Following the departure of Ecuador and Venezuela from Gran Colombia, in July 1831 General Juan Eligio Alzuru proclaims the independence of Panama. 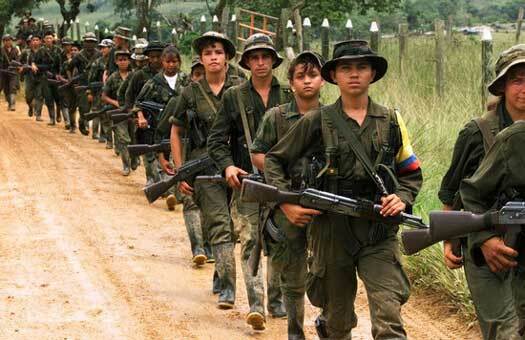 Under Colonel Tomas Herrera, Gran Colombia's military forces defeat and execute Alzuru and forcibly reincorporate Panama. 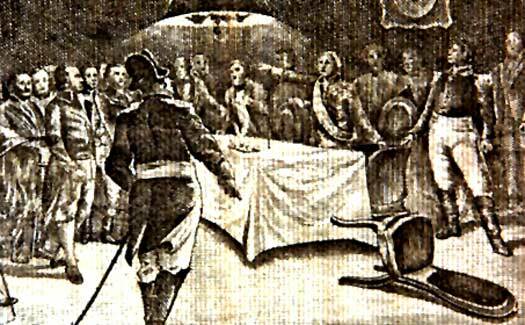 However, the dissolution of Gran Colombia is made official on 21 November 1831 when Ecuador, New Granada and Venezuela all form new republican governments. Located in South America, the constitutional republic of Colombia borders Panama to the north, Venezuela to the east, Ecuador and Peru to the south-west, and Brazil to the south-east. The capital is Santa Fe de Bogota. The country's constitutional republican origins date back to 1831, making it the oldest such government in South America. Colombia emerged from the disintegration of Gran Colombia in 1830-1831, which itself was a surviving portion of the Spanish colonial possession of the 'Kingdom of New Granada'. On 21 November 1831, Colombia formed the 'State of New Granada', which included Panama and which was headed by an elected president. On 20 April 1843 this was renamed the 'Republic of New Granada', but more name changes were to follow. The republic was dissolved and on 22 May 1858 replaced by the 'Grenadine Confederation'. On 18 July 1861, the confederation became the 'United States of New Granada'. Just two months later it was renamed the 'United States of Colombia', on 20 September 1861. Finally, on 5 August 1886, the USC became the 'Republic of Colombia'. Panama remained a Columbian province until 1902-1903, when the USA decided to intervene in order to secure its own interests in the region, namely the Panama Canal. Panama was encouraged to declare itself a republic which was independent of Colombia and was protected by US troops. 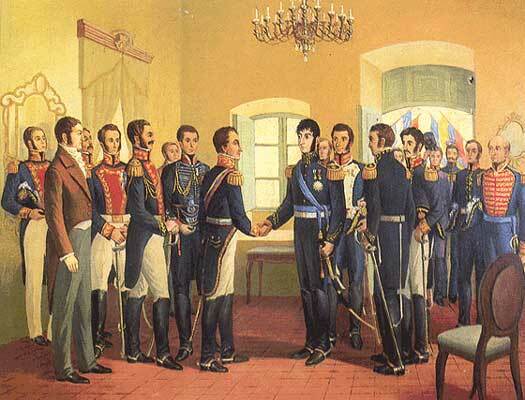 Panama again declares its independence under the leadership of General Tomas Herrera (the anti-hero of 1831), becoming the Free State of the Isthmus. The end of the civil conflict which allows this breakaway in 1841 also allows the peaceful reincorporation of the isthmus into New Granada. On 20 April the State of New Granada is renamed the Republic of New Granada. The signing of the Bidlack Mallarino Treaty between New Granada and the USA ensures that Panama will remain within the republic, with both parties joining together to put down liberalist attempts to create an independent state, with the USA gaining rights to build railways and roads through the isthmus in return. The republic is dissolved and the Grenadine Confederation formed in its place, in which the provinces of the confederation are organised as sovereign states with their own local rulers. After a two-year civil war the Granadine Confederation becomes the United States of New Granada on 18 July, modelled on the format used by the USA. Just two months later, on 20 September, it is renamed again as the United States of Colombia. 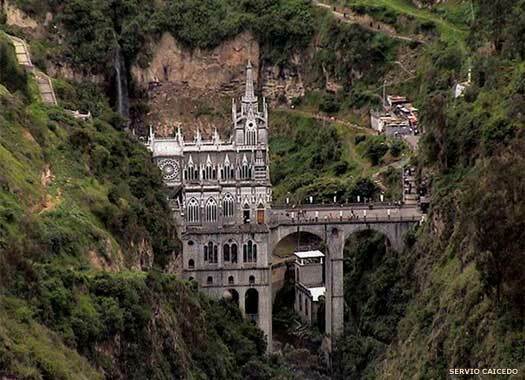 It includes the territories of Antioquia, Bolivar, Boyaca, Cauca, Cundinamarca, Magdalena, Panama, Santander and Tolima, and the territories of Caqueta, San Martin, Nevada and Motilones. The USC has never been stable, wracked by internal differences and civil wars, so a new constitution is proclaimed by the ruling party, and the United States of Colombia is abolished in favour of the Republic of Colombia on 5 August. The Thousand Days War ignites between the country's Liberal and Conservative political parties when the latter are accused of retaining power through rigged elections. The Liberals are defeated, but the Conservatives also lose their appetite for the conflict, and peace is regained with the signing of a treaty in 1902. The USA decides to take control of and complete the abandoned French work on the Panama Canal. The Colombian government is naturally reluctant to allow that level of control to fall outside its hands and refuses permission. The US decides to support Panamanian demands for independence and in 1903, the isthmus separates and becomes the republic of Panama, with a small US military force preventing Colombia from sending troops by sea to regain its province. Unlike many of its neighbours in the Americas, Colombia remains neutral during the First World War against Germany and the Austro-Hungarian empire. With the signing of the Treaty of Salomon-Lozano, Peru agrees the borders with Colombia by ceding all territory between the Putumayo and Caqueta rivers. The treaty is only published in 1930. By the end of September 1932, the Treaty of Salomon-Lozano has been declared null and void and Peru and Colombia prepare for war, although it is never announced as such. Before hostilities can commence, the president of Peru is assassinated and his replacement negotiates peace with Colombia (by 1934). Following the declaration of the United Nations in 1942, Colombia joins the Second World War as an ally of the USA and Great Britain on 26 July 1943, against Japan, Germany and Italy. Powerful drugs cartels emerge in the country towards the end of the decade and develop during the following decade, most notably the Medellín Cartel. A new constitution is ratified after being drafted by the Constituent Assembly of Colombia. The president, Andres Pastrana, attempts to negotiate a solution to the conflict between the state and the FARC guerrilla insurgency. Large swathes of land are demilitarised in return for peace, known as the Plan Colombia initiative, although as drug cartels continue to launch attacks from the demilitarised zones, the plan's effectiveness is diminished.